Prevent the damage of the user’s account or counterfeiting the Users. Contact and settle with Users in the special cases. We only use the individual information of Users to confirm or contact with you about the matters relating to the operation of https://higio.net. Under the regulations of Vietnamese laws : https://higio.net is responsible for providing the personal information of Users, under the request of the government authorities includes: the procuracies, courts, investigate agencies, relating to their violations against the laws. Except this regulation, noone has the right to infringe the personal information of Users. The datas of the collection on https://higio.net which are mostly: email, phone, user’s name, password, address. These are the mandatory information which the Users shall provide to https://higio.net when registering the Services and https://higio.net uses them to confirm the User’s identity on website. The Users are responsible for keeping confidential information and storing all activities of Service use under their registered user, password and email. Futhermore, the Users are responsible for informing to https://higio.net about the illegal use, misuse, violation of confidentiality, the storage on user’s name and password of the third parties in order to have prompt and appropriate solutions. In the case that User agrees to provide information: may create an account to use the widgets of the https://higio.net which mentioned in the scope of agreement before creating the account. In the case that User disagrees to provide information: there are not rights and obligations between User and https://higio.net. 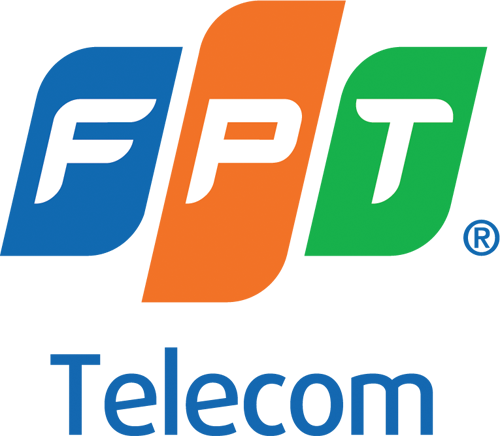 In the course of using FPT HI GIO CLOUD of FPT, we might ask you to provide us with certain personally identifiable information that can be used to contact or identify you (“Personal Information”). Personal Information may include, but is not limited to, your name, country of residence, email address and website address. When you use FPT HI GIO CLOUD (whether such use is performed on the computer, cellphone, TV, device connected with Internet, on https://higio.netand/or on a website of one of our partners or other third parties), we collect information regarding your use of the Services of FPT HI GIO CLOUD, and information that your browser sends whenever you visit a site or online service, including, without limitation, your computer's Internet Protocol (IP) address, browser type, the web page you were visiting before, and information for which you search. When you use a widget or any other tool offered by us, whether on the computer, cellphone, TV, device connected with Internet, on https://higio.net and/or on a third party website, including a website owned or operated by you, we may record data related to that activity, the deployment of the widget or tool and any other account related data. Like many websites, we use “cookies” to collect information. A cookie is a small data file that we transfer to your computer's hard disk for record-keeping purposes. You can instruct your browser, by changing its options, to stop accepting cookies or to prompt you before accepting a cookie from the website you visit. If you do not accept cookies, you may limit use all portions of FPT HI GIO CLOUD or all functionality of FPT HI GIO CLOUD. We reserve the right to disclose any information obtained by us, including but not limited to Personal Information and Non Personally Identifiable Information, (i) if required by law or by any governmental authority; or (ii) in case of emergency; or (iii) to a successor entity in connection with a merger, acquisition, bankruptcy or sale of all or substantially all of our assets. Your information may be processed or transferred outside of your state, where the privacy laws may not be as protective as those in your jurisdiction. Personal Identifiable Information of User will be stored until there is a request of User’s its cancellation or the User logs in and cancel the storage by itself. In other cases, Personal Identifiable Information shall be kept confidential in the servers of https://higio.net. 1st Floor, FPT Building, Unit L.29B-31B-3B Tan Thuan Street, Tan Thuan EPZ, Tan Thuan Dong Ward, District 7, HCMC, Vietnam. VI. Methods and tools for Users to access and edit their Personal Identifiable Information. You has the rights to check, update, adjust or cancel the Personal Identifiable Information by logging to your account and edit the Personal Identifiable Information or asking https://higio.net to do this. You has the right to appeal against the disclose of Personal Identifiable Information of third party to the Administration Board of https://higio.net. Upon receiving this feedback, https://higio.net shall confirm the information and be responsible for answering and providing guidance to restore and keep the confidential information again. Do not use, transfer, provide or disclose to third party about Personal Identifiable Information of User without the consent of User. In the case that the server of information storage is attacked by hacker and the personal datas of User is lost, https://higio.net shall be responsible for promptly informing the matter to the competent government authorities to investigate and inform it to Users. Keep strictly confidential information of online transactions of Users, includes: invoice, digital documents in the area of data safety center level 1 of https://higio.net. When User purchases the products, User shall be requested by Administration Board of https://higio.net to provide personal information such as: name, contact, email, identity number, phone ... and be responsible for the legality of its information. Administration Board of https://higio.net shall not be responsible for as well as not resolve the complaints relating to the rights of Users if the personal information provided by User that is not initially correct. We are concerned with safeguarding your information. We employ a variety of safety measures designed to protect your information from unauthorized access and disclosure. However, we cannot guarantee that your personal information or private communications will always remain private and secure.